RELIGIOUS FASHION JEWELRY - FREE ITEMS/PAY FOR SHIPPING ONLY! Ideal for church members, sunday schools, missions, college students, graduation, confirmation, gifts. 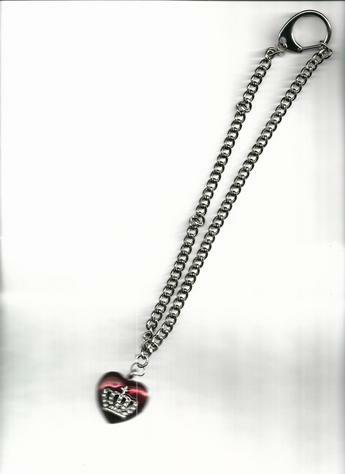 Majestic Rhinestone Cross & Crown Heart Pendant on a 12-inch Red Silkie Necklace. White, Purple Pearls (faux) with Purple Crosses Necklace/Bracelet Sets. White Pearls with Purple Crosses 19-inch, Red Copper Wire clasp necklace.